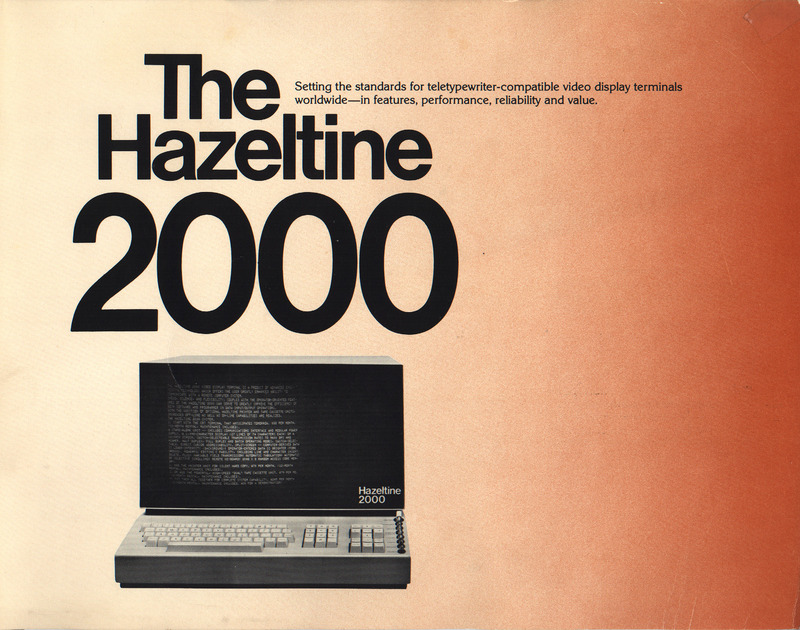 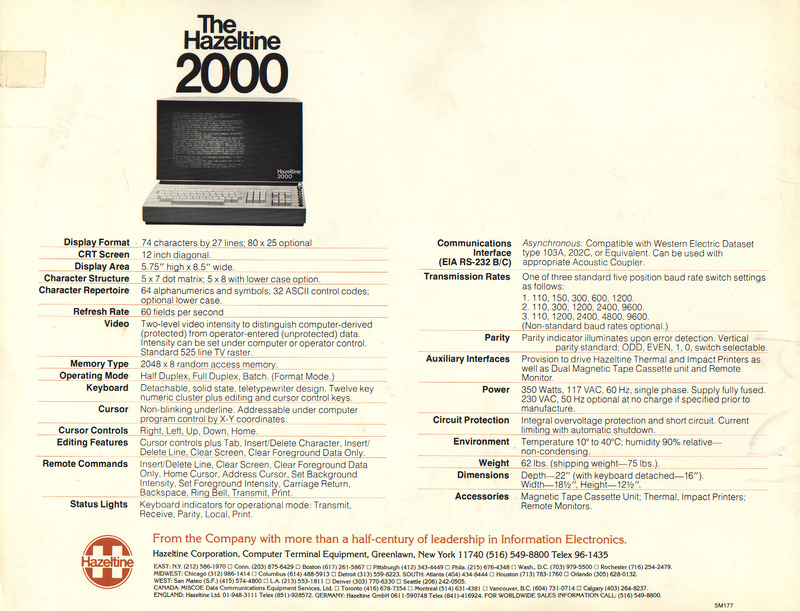 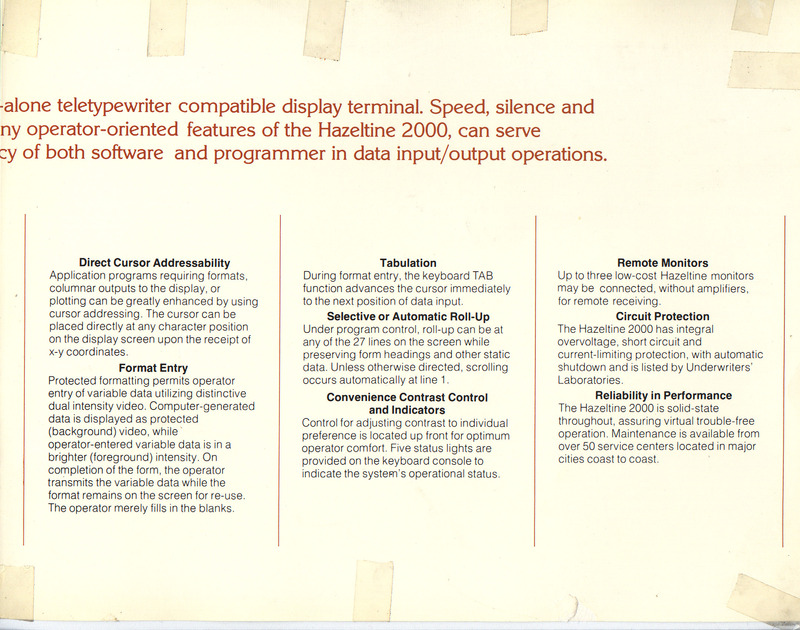 Photo from the Hazeltine 2000 Operating Manual, John L. Wright, Jr.
A 25x80 display with lowercase letters was available as an option. 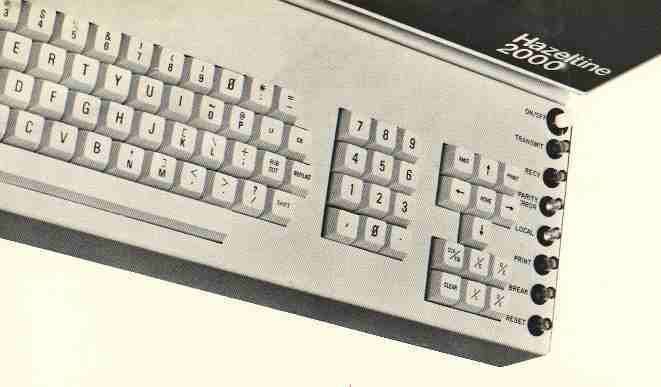 The 5-position serial-port speed selector was available for three different sets of speeds. 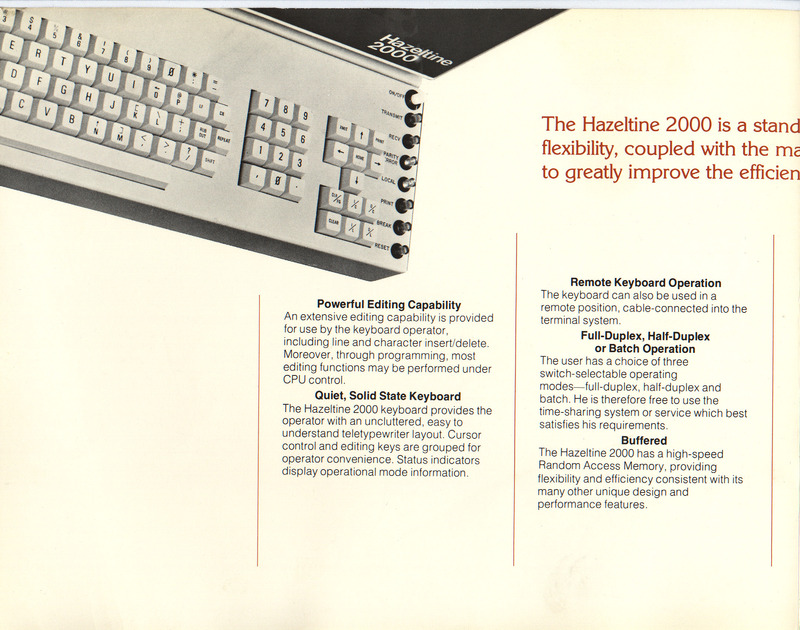 Photo from Hazeltine 2000 brochure, Tom De Bellis.